Charlotte Harbor Preserve State Park is a 46,000-acre (190 km2) Florida State Park, composed of islands and land that surrounds Charlotte Harbor. 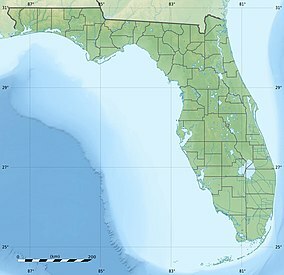 It is part of the Southwest Florida Water Management District and protects the Gasparilla Sound/ Charlotte Harbor, Cape Haze, Matlacha Pass, and Pine Island Sound aquatic preserves. It is site 22 on southern section of the Great Florida Birding Trail and offers boating, paddling, fishing, and hiking. The park can be accessed from Punta Gorda, Cape Coral, Cape Haze, El Jobean, Rotonda, and Little Pine Island. The main offices are approximately 3 miles (4.8 km) south of US 41/Tamiami Trail, in Punta Gorda. There is no entrance charge. Florida state parks are open between 8 a.m. and sundown every day of the year (including holidays). This page was last edited on 13 June 2018, at 05:31 (UTC).